Is this the moment for Bristol to re-assess the legacy of the Transatlantic Slave Trade? In January 2017, the Runnymede Trust published a report stating that Bristol was the most segregated core city in the UK. In stark contrast, in the same year, The Sunday Times celebrated it as the best place to live in the UK. Responding to the report, three Bristol institutions – Bristol Old Vic, Bristol Post and Ujima Radio – today announced four City Conversations which will take place in venues across the city, culminating in a final discussion at Bristol Old Vic in the autumn. They are calling on the varied and diverse communities of Bristol to join together for some of the most powerful conversations that can be had – between people who think differently to each other and want to make a change. How can we make racial segregation a thing of the past in Bristol? Bristol Old Vic’s Artistic DirectorTom Morris said: “For 250 years, this theatre has welcomed Bristolians from every walk of life for a good night out in the heart of Bristol. Like all great theatres, it also aspires to be a place where the people of the city can examine our society and ask the important questions of the day. The conversation is a free event and will be hosted by an impartial chair. It will create the opportunity for those living within the city to bring their own unique perspectives and opinions together and also to listen to experiences that may be very different from their own. All ages, backgrounds and views will be respectfully welcomed to truly reflect what the city thinks about itself and to decide how to move forward. The topics of the following three conversations will be generated in response to the views expressed in this first conversation, with locations confirmed soon after. 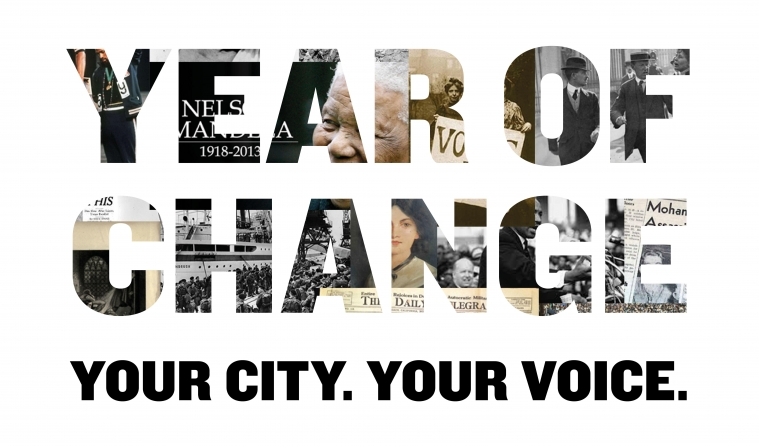 The City Conversations sit within Bristol Old Vic’s Year of Change season, suggested as a theme for 2018 by Roger Griffith of Ujima Radio (an Associate Company of the theatre). Griffith was inspired by the year’s anniversaries of moments which fundamentally changed the world we live in, including the centenary of Women’s Suffrage, the 70th anniversary of the voyage of the Windrush and the 50th anniversary of the assassination of Martin Luther King. This also provides the context from within which Bristol Post has sought to redress its historic reputation as a paper which did not represent BAME communities and who had alienated many black Bristolians through its now notorious ‘Faces of Evil’ headline of 1996. The Bristol Post Editor, Mike Norton, issued an apology for that headline and announced a series of actions to make the paper and its staff more representative of all Bristolians. The resulting discussions have led to the programming of a series of events across the city, which particularly focus on Bristol’s crisis of segregation and the need for a re-examination of the city’s relationship with the Transatlantic Slave Trade. A day of city-wide commemoration of Frederick Douglass’ visit to Bristol in 1846, held in venues across the city on 28th May and co-commissioned by Bristol Old Vic and Colston Hall. The first public airing of The Meaning of Zong, a new play about the Abolition Movement by Olivier Award-winning actor and playwright Giles Terera. A series of talks about the city’s relationship with its past presented across the city by the Festival of Ideas. The Diaspora Festival, curated by Bristol Lord Mayor and Green Councillor Cleo Lake. Today, Bristol Old Vic is issuing an open invitation to all individuals and organisation who are themselves creating events which are similarly themed, to join under the Year of Change banner and create a truly Bristol-wide commitment to transforming our city.